the expertise we’ve gained over the years into this 150-page ebook. Did you know that communities can be a means to monetize games while also building deeper bonds with your players? Gaming communities have been around since before the advent of the internet as we know it. From the first BBS launched in 1973 to the online communities of today, players have been drawn together by their love of games. They also provide several unique challenges, and those responsible for managing player communities in that industry must be at the top of their game to survive. 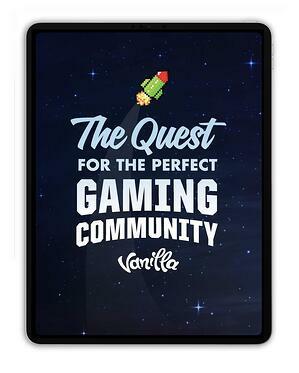 Vanilla Forums has packaged the expertise they’ve gained over the years into this comprehensive 150-page ebook. The guide is perfect for the Indie studios and developers who have created their first game and are looking to gain some marketing traction.